Chefs are at the end of a long chain of individuals who work hard to feed people. Farmers, beekeepers, bakers, scientists, fishermen, grocers, we are all part of that chain, all food people, all dedicated to feeding the world. José Andréshttps://www.jamesbeard.org/blog/jose-andres-named-2018-humanitarian-of-the-year“A hero is someone who is selfless, who is generous in spirit, who just tries to give back as much as possible and help people. A hero to me is someone who saves people and who deeply cares” (Debi Mazar Quotes). Mazar must've had José Andrés in mind when she said these beautiful words. José Andrés is a renowned chef from Spain who has opened numerous restaurants and won countless awards for his work. In recent years, he has focused on humanitarian work with his organization World Central Kitchen. Andrés has combined his passion for food and his desire to help others by providing food in disaster zones like Puerto Rico and creating programs which deliver healthy lifestyles and nutritious food for everyone. José Andrés has become more than just a chef in today’s society, and continuously changes the world through a combination of his empathy for others and his passion for food. 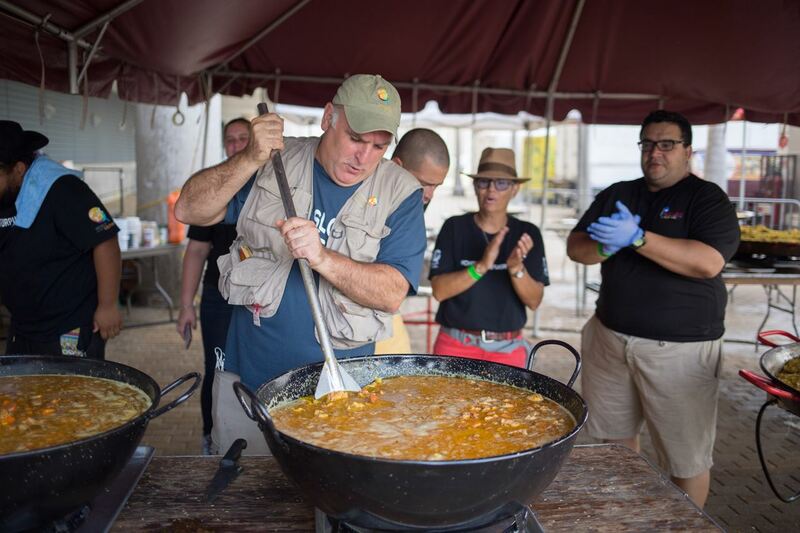 José Andrés Preparing a Meal while in Puerto Ricohttps://www.worldcentralkitchen.org/category/puerto-ricoAndrés has the ability to connect with others through his empathy and in turn, increase their quality of life tremendously. José Andrés has created organizations to help him reach this goal: "He created World Central Kitchen to feed those in crisis around the world, such as the people of Haiti affected by the 2010 earthquake … The chef is also the chairman emeritus for DC Central Kitchen, which is an organization active in fighting hunger and providing culinary job training for the homeless in the Washington, DC, area" ("José Andrés." Gale). José Andrés focuses his life on helping others. He feels their pain and utilizes his resources to brighten up a person’s day. Whether that be through feeding people in a disaster-stricken area or giving a bit of food to a homeless person, Andrés is always looking out for the betterment of other people. With his organizations, he is creating a path for people to receive help. José Andrés spends his time and energy focused on other people that suffer because of disasters: "Aside from feeding first responders, Andres says WCK volunteers have been handing out meals to people who couldn't leave their communities before [Hurricane] Michael basically wiped them off the map. They tend to be poor Americans, without cars or the funds to catch a flight out of town. ’Some people had to stay because they have no other place to go,’ the chef says" (Carman). José Andrés knows how some people struggle with life, even if there isn’t any major natural disaster in their area. He’s been making sure that they are getting healthy food. His empathic and compassionate mindset has greatly helped the lives of some by giving them a way to receive food. Selflessly, he has channeled all of his energy on the needs of others. Andrés understands that someone needs to step up to help disaster-struck communities, and has taken it upon himself to fill this role. Others have started to take notice of Andrés’ empathetic nature towards situations: "Bourdain described encountering Andrés in a hotel in Haiti while waiting for a hurricane to strike the already earthquake-affected country where cholera had broken out. Andrés was demonstrating for journalists a solar-powered cook stove that could boil water. Indeed, Andrés' endeavors reach well beyond the culinary world and teaching a culinary physics class" ("José Andres." Newsmakers). José Andrés figures out problems that people face in their lives. He works tirelessly to find solutions for them, so their life can improve. In this case, he wanted the Haitians to have access to clean water which wasn’t contaminated by cholera. He went above and beyond the typical expectations for chefs and showcased a more unexpected technological solution. Andrés understands the dire lives that some are living, and does everything in his power to aid them. José Andrés’ empathetic nature is what made him inspired to create life-changing organizations which focus on serving others. 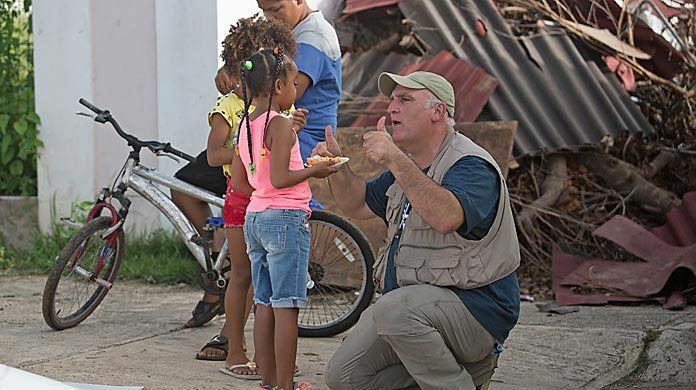 José Andrés Talking with Children who are Living in a Disaster Zonehttps://totalfood.com/jose-andres-value-mentorship-community-business/Andrés’ obsession with food has flourished and he now continually shares it with the world by nurturing the needy. José Andrés has been involved in multiple projects to make the world a healthier place: "The chef spoke out on food issues, such as hunger, childhood obesity, and nutrition education … Andrés became the culinary ambassador of the Global Alliance for Clean Cookstoves, which was established by Secretary of State Hillary Rodham Clinton to establish clean cooking initiatives throughout the world … He worked with first lady Michelle Obama's Let's Move! campaign by offering healthy cooking speeches, workshops, and demonstrations” ("José Andrés." Gale). José Andrés is continuously involved with projects that relate to food. He works on tackling so many problems in the world, but they all relate to food. Andrés uses his expertise to change other’s worlds for the better. He can do all of this because of his undying love for his profession. 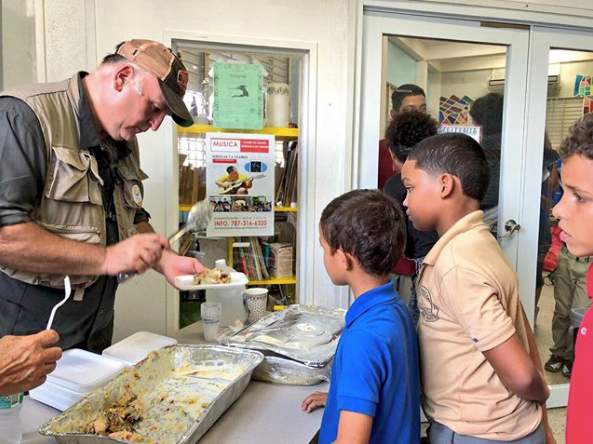 Additionally, Andrés was working to help feed famished Puerto Ricans after Hurricane Maria: "He works to alleviate the toll of disasters such as Hurricane Maria, which devastated Puerto Rico last year, and the more recent storms Florence and Michael. In his book We Fed an Island (co-authored by Richard Wolffe), Andrés recounts how he and hundreds of volunteers made home-cooked meals for Puerto Ricans after Maria struck. Andrés’s nonprofit, World Central Kitchen, served more than 3 million meals on the island" (Florida). José Andrés is always working with various people on a variety of programs to address world issues. He feels strongly about everything related to food and has dedicated his life to his passion. Andrés is branching out of just cooking, and is expanding his career for the interests of others. From a young age, Andrés has worked with new ideas in cooking and breaking the boundaries: "At the age of 15, he talked his way around restrictions that limited students until they were aged 18 from enrolling at the esteemed Escuela de Restauració I Hostalatge in Barcelona. After graduating from this prestigious culinary school, he apprenticed in the kitchens of several Michelin five-star restaurants, including the legendary El Bulli where he worked with Ferran Adria, the culinary wizard of gourmet foam" ("José Andrés." Newsmakers). José Andrés feels so strongly about food and is willing to do anything to work with his passion. When it wasn’t possible for him to become a chef because of his young age, he persevered and was accepted to a honorable culinary school three years before he should’ve been able to go. At this time, he uses that vital knowledge gained in culinary school to be a role model to others through his philanthropic efforts. José Andrés has used the gift he was born with, turned it into his passion, and made it into a career which focuses on helping others and not himself. José Andrés has an elevated place in society, beyond just being a chef; he utilizes his resources to help others through his empathic nature and passion for food. Andrés feels that more can be done. His perseverance, humble nature, and compassion inspire others to do what they can to aid others. Between José Andrés’ passion for people, cooking, empathetic nature, and need to help others, he has changed our world for the better. So many more people in this world who would be suffering if it wasn’t for Andrés. He has been vital to the world in the wake of natural disasters that rob people of their homes, food, and livelihood. Others can look to José Andrés to learn how to put others’ needs before your own, as well as how to stay humble and true to your heritage and self in the wake of fame: “As he often does, Andres downplays his contributions in a disaster zone. (‘They don't need me,’ he says.) But even if Andres's presence isn't needed to prepare meals, his presence, as one CNN anchor recently noted, ‘brings comfort to a lot of people’” (Carman). José Andrés has done so much for communities around the world. He is humble and insists on sharing his credit with others who he believes are also deserving. His attitude reminds people not to get wrapped up in their achievements while inspiring others not to become egotistical and remain modest. Additionally, he sends the message that you can always be helping others instead of focusing on yourself. José Andrés is the epitome of who I would like to be when I grow up. His actions prove he is kind to all, as well as courteous and modest. I look up to him to see how I can help others in ways I may not have thought of initially. I also admire him on how he has spent his whole life working on the needs and wants of others. I look up to him as an idol, as others do, to learn how to find the positives in a bad situation, and always stay optimistic. Andrés has been caring, selfless, and generous to others since day one, devoting his life to the betterment of others. Andrés is the embodiment of a modern-day hero. Carman, Tim. "'This is like 'Groundhog Day,'' says Jose Andres as his volunteers once again feed disaster victims." Washingtonpost.com, 16 Oct. 2018. Student Resources In Context, https://link.galegroup.com/apps/doc/A558503803/SUIC?u=powa9245&sid=SUIC&xid=c5a219f5. Accessed 10 Dec. 2018. “Debi Mazar Quotes.” BrainyQuote, Xplore, www.brainyquote.com/quotes/debi_mazar_413068. “Jose Andres Quotes.” BrainyQuote, Xplore, www.brainyquote.com/quotes/jose_andres_653473. Florida, Richard. “José Andrés: 'A Warm Plate of Food ... Does Help People Feel Hope Again'.” CityLab, Nicole Javorsky, Atlantic Monthly Group, 22 Nov. 2018, www.citylab.com/life/2018/11/chef-jose-andres-world-central-kitchen-charity/575986/. "José Andrés." Gale Biography in Context, Gale, 2012. Biography In Context, https://link.galegroup.com/apps/doc/K1650008448/BIC?u=powa9245&sid=BIC&xid=b29de7bf. Accessed 5 Dec. 2018. "José Andrés." Newsmakers, vol. 1, Gale, 2014. Biography In Context, https://link.galegroup.com/apps/doc/K1618006004/BIC?u=powa9245&sid=BIC&xid=c7ffb0c3. Accessed 10 Dec. 2018. 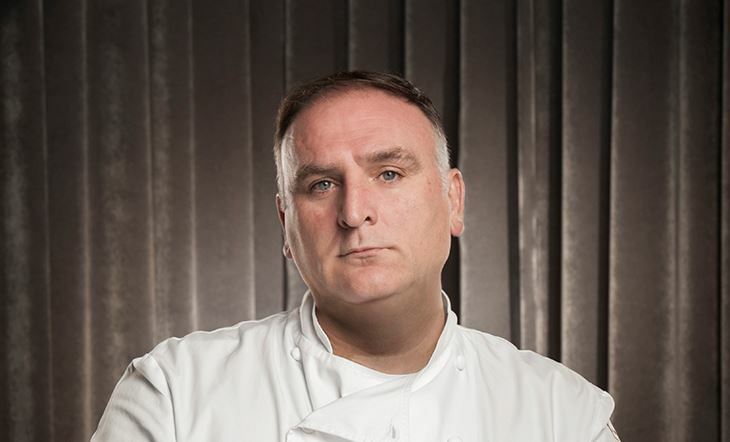 Think Food Group - José Andrés' main company, under which World Central Kitchen is run.